The basic obstacle to addressing the social causes of catastrophes like that in Northern California is the capitalist system, which subordinates all of economic life to the interests of the corporate and financial elite. There is not a single social problem, including the need for massive investment in social infrastructure, that can be solved without a frontal attack on the wealth of the ruling elite. 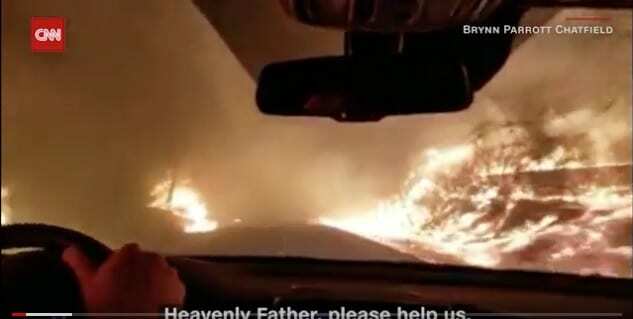 The US state of California has been devastated by the most destructive and deadliest wildfires in the state’s history. While wildfires, like hurricanes, are rooted in natural causes, the horrific consequences are the product of corporate malfeasance and government neglect. The most devastating impact had been in Northern California, where the Camp Fire largely destroyed the rural town of Paradise, population 26,000. The official death toll now stands at 81. Hundreds remain missing, with many likely to have perished in the blaze. Search and rescue teams continue to sift through the debris for remains from a fire that burned hot enough in parts to destroy bone. Millions of people face unknown health consequences from widespread air pollution. With little to no warning, families had to flee the rapidly advancing flames only to find roads blocked by overwhelming traffic. Some managed to escape on foot, others died in their cars as the flames overtook them, while many never made it out of their homes. The lucky ones have still lost almost everything, forced to live as domestic refugees in crowded and unhealthy shelters or makeshift tent cities. The victims in Paradise were older and poorer than the rest of California. The median age was 50, and the median household income $20,000 a year less than for the state as a whole. As far as the government response has been concerned, their lives and continued survival are a matter of indifference. Aside from a handful of shelters—where a norovirus outbreak sent at least 25 survivors to the hospital—and a pittance in FEMA supplies, those fleeing Paradise have had to rely on friends, family and charity. The Camp Fire joins the long list of disasters over the past few years, including Hurricanes Michael (60 dead), Florence (53 dead) and Maria (3,057 dead) in the US. It comes four months after the Attica wildfires in Greece, which killed 99. In each case, natural events have been compounded by crumbling infrastructure and inadequate emergency planning to create social catastrophes. What are the real factors responsible for the devastation? First, there is the role of the energy companies, whose aging infrastructure is known to have caused many fires. At the heart of California’s energy infrastructure is a group of three investor-owned utilities: Pacific Gas and Electric (PG&E), Southern California Edison (SCE) and San Diego Gas and Electric (SDG&E) with monopolies in their respective regions. Combined, these utilities have been responsible for over 2,000 wildfires in California since the state began requiring them to report incidents in 2014. PG&E alone is responsible for over 1,500 fires, including 16 major fires in 2017. Eleven of those sixteen were determined to involve PG&E negligence, and the company faces potentially $17 billion in liability for the lives and buildings lost that year. The precise cause of the Camp Fire is still being investigated, but it began next to Poe Dam, 10 miles east of Paradise, only minutes after PG&E reported a power failure on its lines there. Firefighters initially responding to the blaze reported downed powerlines. 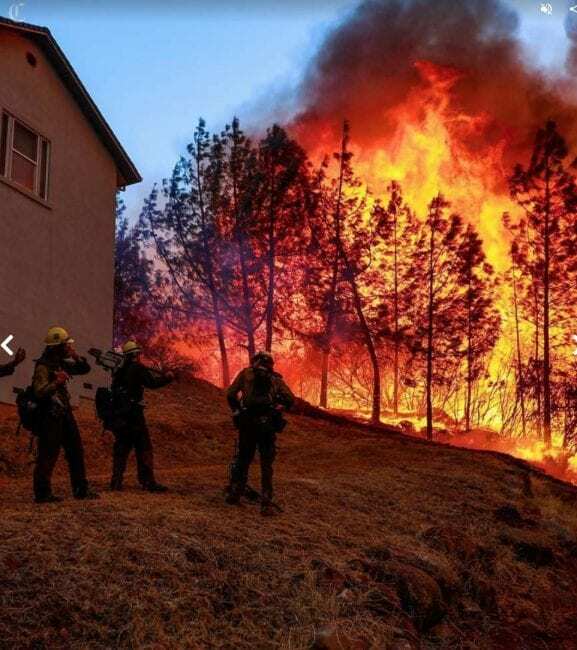 In a document filed with the Security and Exchange commission last week, PG&E stated that if it was found responsible for the fire, the damages would exceed its insurance coverage and threaten its financial stability. The California Public Utilities Commission (CPUC) immediately responded by issuing a statement Friday that it would limit damages victims could recover from PG&E to protect the company’s “financial status,” under the provisions of the newly adopted state law supported by Governor Jerry Brown. In short, even if the company is found responsible through negligence, the state regulators will shift liability for the damages from PG&E’s shareholders onto the victims. In 2008, the Humboldt Fire threatened Paradise from the southwest, cutting off all but one rural road out. Luckily, the town was spared. A government report from the time noted that the city had only one viable evacuation route that was only designed to carry 1,200 cars an hour. Despite all the predictions and near misses, the Democratic Party-controlled state government left the problem unsolved. When the fire came this month, no systematic citywide evacuation notice was given. The government issued no emergency broadcasts, and cell phone alerts were only sent to those who had opted-in, about 30 percent of the city. Many residents trying to escape found the roads clogged, with no planned escape routes. Finally, there is climate change, which is responsible for increasingly severe natural events, such as hurricanes and droughts. Despite increasingly dire warnings from scientists, capitalist states have demonstrated their inability to take the necessary measures to halt the process of global warming. International agreements that have been adopted are wholly inadequate to the danger, and even these are under constant attack. California is the richest state in the United States, home to movie stars and tech moguls. The state’s 144 billionaires have a combined wealth of $725 billion. They live a life apart in San Francisco luxury high-rises, advertised as “life above it all,” or in beach side mansions in exclusive enclaves. Workers in the state live an entirely different life, and there could not be a starker contrast between the extravagance of the super-rich and the scenes of desperation from the Camp Fire and its aftermath. The working class must advance its own response. The Socialist Equality Party calls for the transformation of the energy companies into democratically-controlled public utilities, run on the basis of social need and not private profit. A massive public works program is necessary to make the electrical infrastructure safe, including by replacing all above-ground with under-ground lines. An independent investigation of the fires must be carried out, with criminal prosecutions for any corporate and government officials determined to be responsible for creating the conditions for the deadly inferno. The technology exists to protect even isolated communities from fast moving wildfires, but this requires scientifically planned investment in social infrastructure that will not be carried out by private companies. Brush clearance, fire breaks and controlled burns can prevent even intense fires from advancing quickly on urban areas so that residents have time to evacuate. Systematic evacuation plans using modern technology to notify residents, along routes designed with enough capacity, must be established in all threatened areas. All workers have the right to safe, comfortable housing. It is a disgrace that victims are living in tent cities or crowded shelters. Those who have lost everything must be made whole. The implementation of this program must be connected to the socialist reorganization of economic life, in the United States and internationally. Social need and scientific planning must be the basis of production, not the profit interests of corporations and the wealth of the ruling elite.